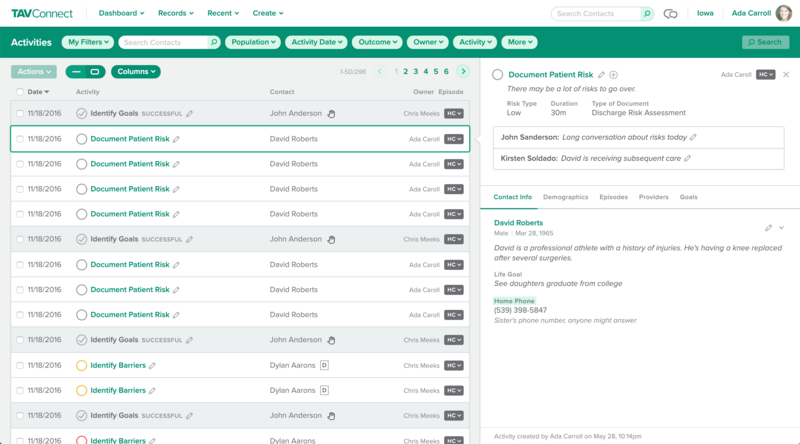 TAVHealth is an amazing company that helps people solve health-related problems they're facing. They address social determinants of health, which often are the underlying causes to chronic health issues. I worked with their core team to design their flagship application, TAVConnect. TAVConnect is for health workers that need to help patients stay healthy. I worked hand-in-hand with the product team to design features on their roadmap, test those designs with users, and implement them in the codebase. When I was initially brought on, previous designers had failed to consider important UX and accessibility factors. I worked in conjunction with passionate developers to close gaps and deliver a more accessible experience. 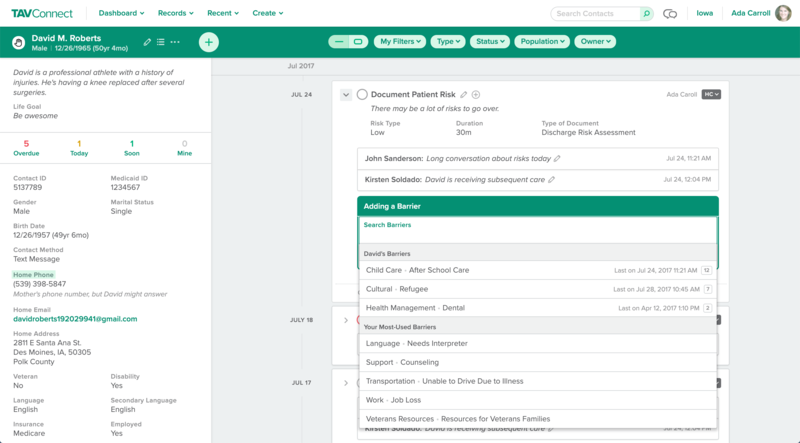 A contact detail screen. Health workers needed to keep track of their contacts and find them important resources that could assist with their social determinants of health. A workable list of many activities. 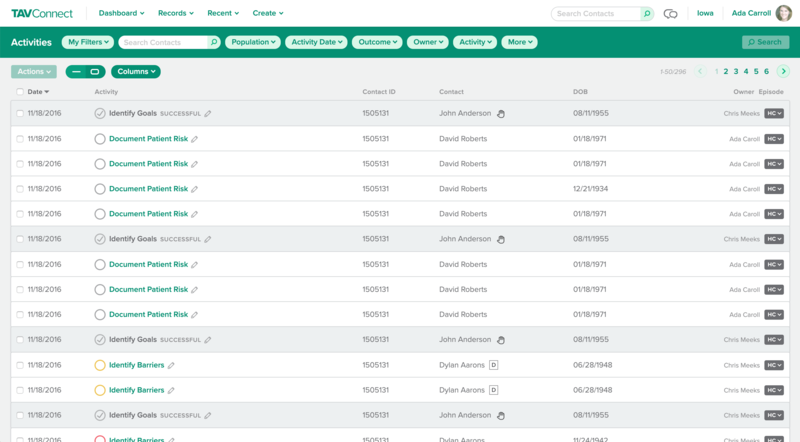 Activities were the actions users took on behalf of a contact. I explored efficient ways to help users review and work on a contact without losing place in their overall work queue. 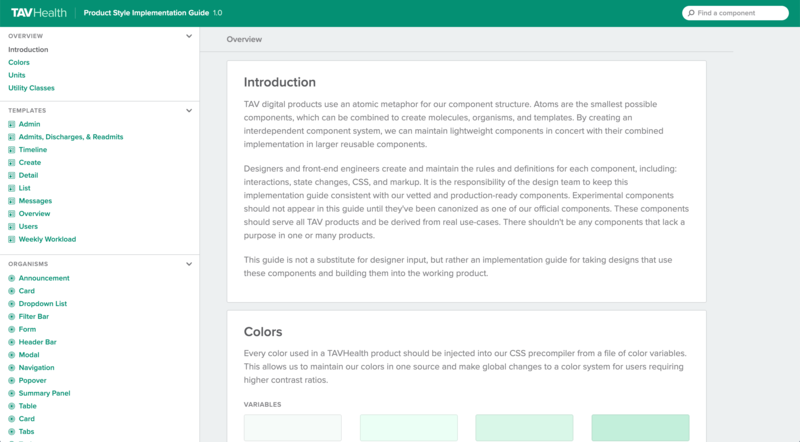 TAVHealth style guide documentation, which helped TAVHealth move faster to bring products to market and keep them consistent. 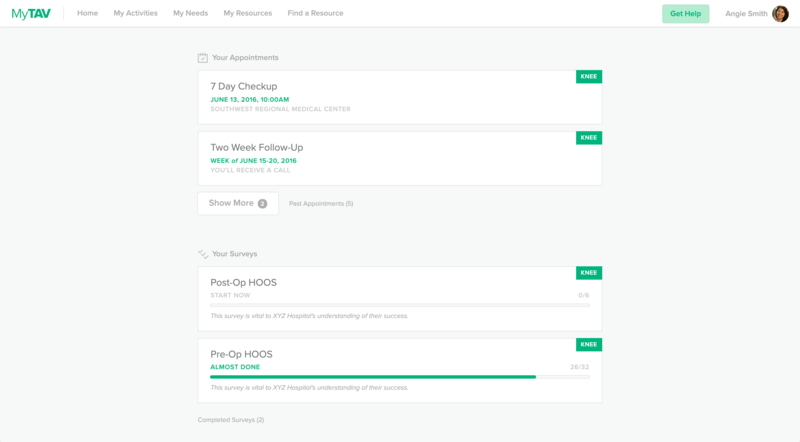 An individual patient's portal, where they could take surveys, manage appointments, or ask for help. TAVHealth has had strong growth as they shifted their focus to social determinants of health. TAVConnect continues to lead the industry with its forward thinking UX and is helping to keep people healthy by addressing their lifestyle before it becomes a chronic issue. I'm grateful to have had the opportunity to assist them with such important work.